Products are designed for irrigation of mature trees with large root zone. Can be installed between two trees. Full coverage irrigation in greenhouses, flower beds and vegetables. 20-240 liters per hour (0.088-1.06 gpm). Large wetting diameter: 5.3-10.5 m,(17-34 Ft). * For more information please refer to the attached PDF and to the technical software. This time proven series offers a wide range of spraying heads and swivels with a wide range of flow-rates constructed in a robust bridge. 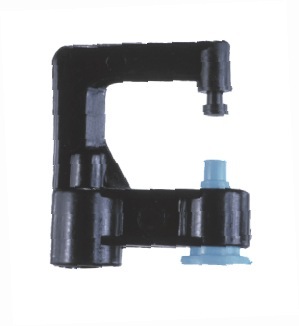 The wide range of head and swivels covers all applications, from a small diameter bubbler to large wetting diameter mini sprinkler. 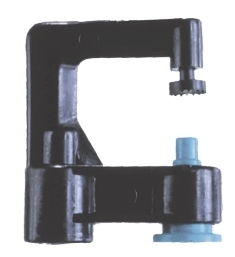 Series 800- Large wetting diameter. Series 801-Low pressure &Large wetting diameter. Series 803-For greenhouses irrigation, the emitter is installed inverted. Series 806/806S- Static sprayer for medium/small wetting diameter.